We are a genuine importing, distributing, and manufacturing company in the industry since 1982. The innovative and cutting-edge technologies we employed in the manufacturing process and the trading policies which we practised in importing high quality branded Advertising products from the world renowned global partners ensure our undeniable excellence in the industry while owning trust of our valued customers. Being the trusted and certified supplier of advertising solutions at your every need, our importing and trading services have been developed for clients who need assurance and assistance in top-notch quality Advertising Materials and products which we imported worldwide. We cater to every requirement of yours with our comprehensive and diverse portfolio of SP Tapes, which We design and manufacture in our state of the art manufacturing plant using the best raw materials. We work to the highest standards to ensure a high-quality product. We have deployed several ways to serve our customers. 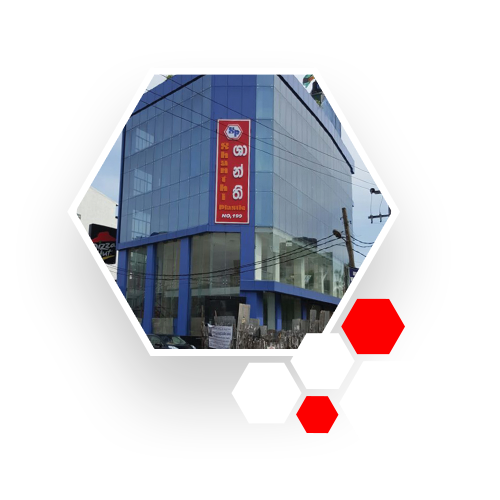 We have established our presence through 4 branches which conveniently located island wide. We comply with an attractive package of services to our customers for their convenience. We offer free delivery service within 50km by our 5 delivery shuttles. We are the proud owners of a state of the art manufacturing plant to manufacture high-quality SP tape varieties to your all your requirements. We are the Sole Agents in Sri Lanka for the well known and Quality products from Germany, Thailand, Korea and Japan. Our products have earned a name for its quality and reliability for over 36 years. We strive to consistently meet or exceed our comprehensive quality standards in trading, manufacturing and distribution of products to our customers. We maintain these high-quality standards while at the same time manufacturing products by utilizing innovative and cutting-edge technologies in the industry. Our main goal is customer satisfaction and we take all needy steps to deliver high-quality products imported by reputed globally recognized brands at competitive prices.